UK Home Secretary Theresa May has been named internet villain of the year at this year’s ISPA awards, for pursuing a controversial communications data bill. 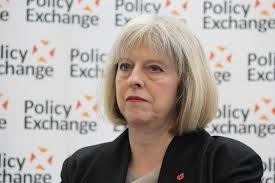 The day after the Conservative Party won the May 7 general election, Theresa May announced plans to introduce a once-defeated contentious surveillance bill. The bill will authorise tracking of people’s web history, social media interactions and strengthen the security services’ powers for the bulk collection of the content of communications. The surveillance bill would be passed into law before the end of 2016, according to May. The organisation further noted that it was essential ISPs are consulted over the coming Investigatory Powers Bill which will be brought before Parliament later this year. Unsurprisingly, May was not present to receive her award, but Privacy International collected it for her instead. Of course, as well as an internet villain, there was an internet hero award, which was picked up jointly by two MPs – David Davis and Tom Watson. They were deemed heroes due to their efforts to bring forth debate on communications data issues in Parliament, and their legal challenge to guarantee the privacy of the people who voted them in. Hyperoptic, the fibre ISP, also did very well picking up three accolades, including best superfast broadband, best consumer fixed broadband, and best use of digital. On the business side, the best SME broadband award went to Entanet, and the best enterprise broadband was received by Bridge Fibre.